Evergreen Llamas Kalama, WA (360) 901-1073 - Llamas for sale near Portland Oregon. Vancouver, Washington. Ridgefield, Washington. A little about us! We are Jacob, Meggan, and Layla Mumford. Our Llama program is known as Evergreen Llamas. 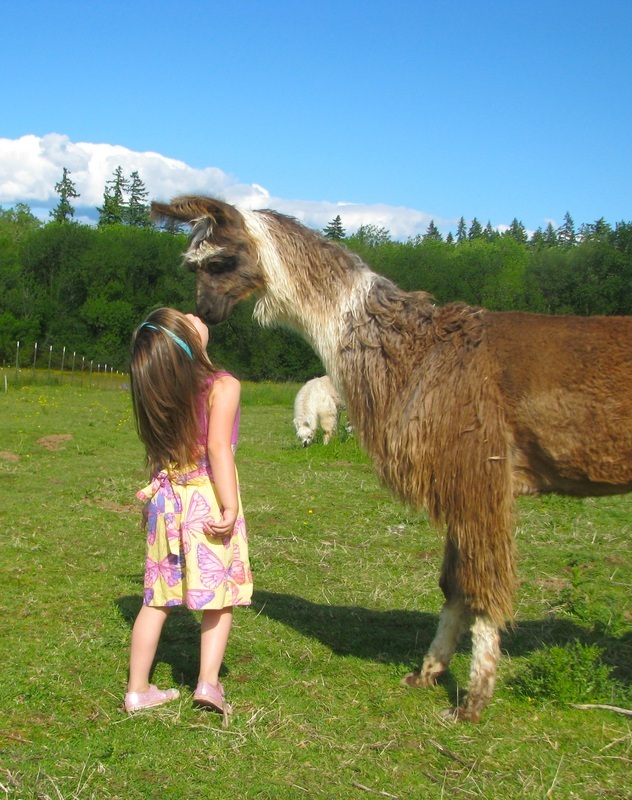 While at one time we owned 100+ llamas (and a herd of alpacas as well), we now maintain a more selective herd of 30 +/- Llamas on our small farm in Kalama, Washington. We have assembled some of the llama greatest genetics in the country, including bloodlines from El Fuerte, Argentine Don Zunca, Chiri Chico, Sipan, El Forte, Argentine Fresco, Chilean Siricache, London, Somponero, Silver Moon Jamali, GNLC Dom, Silverspirit, Peruvian Voldemort, Inca Empire, Baccus Azul, Sijama Zumiez, Argeinte Travelin, and many others. Our breeding stock comes from multiple generations of good milkers and good dams. We have assembled this group as a direct result of many years of selective breeding and many years of researching pedigrees. Personality is important to us! We are a hands on farm, with 4-Hers, other kids, and the general public interacting with our animals on a routine basis. 39 years and 4 generations loving llamas. Come and see us at the 13th annual Cascade Llama Show and Sale April 27th and 28th 2019 in Salem, Oregon in conjunction with Oregon Ag Fest!